We’d love your help. Let us know what’s wrong with this preview of Tales of the Nun and Dragon by Adele Wearing. 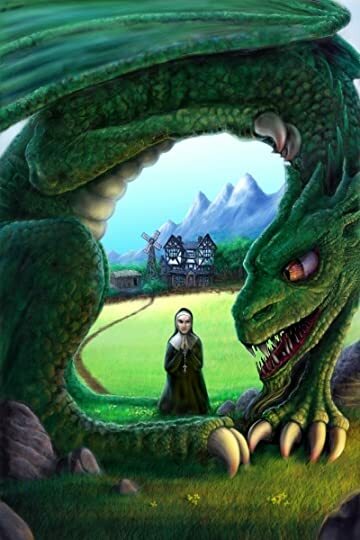 To ask other readers questions about Tales of the Nun and Dragon, please sign up. 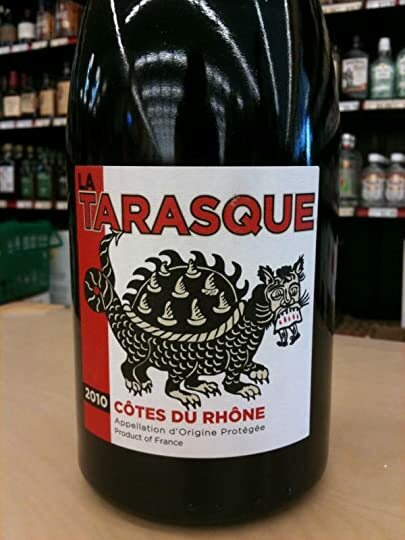 To be read with my next bottle of Tarasque. Over the last couple of years my passion for short stories has been re-ignited by some great small publishers and the anthologies that they are producing. Anthologies are a great way to discover the work of writers you have never read before so when I was offered the opportunity to take a look at the latest from Fox Spirit I jumped at the chance. C’mon dragons, nuns the coming together of the two. That’s never going to be a bad thing is it? The Ballad of Gilrain by Sarah Cawkwell – Gilrain the knight and his trusty manservant, Therin, meet a troublesome dragon. This first story features a nice blend of humor and action to start things off. In addition you can download the entire ballad as an MP3 from the Fox Spirit website. I like extra touches like that. Incident at Wearing Abbey by Mark West - A lone walker out in the woods and is attacked by a strange creature. When he wakes he finds himself in Wearing Abbey where he meets a group of nuns who seem to know a lot more than they are letting on. West’s take on the anthology theme brings us nuns with guns. Great fun. Journey to Blackfire Keep by Colin F Barnes – A purple skinned Lizard man called named Billtong, a daring airship chase and a lost dragon civilization. Action packed, fast paced fantasy is always a winner with me. As an aside, I’ve noticed that often in an anthology there will be stories that feel like a preview to something larger. Journey to Blackfire Keep feels like that. I’d love to see this world explored in a bit more depth. Nil Desperandum by Ren Warom - Malk meets a nun, actually that maybe the mother of all under exaggerations, Malk meets the worst nun ever. Things go downhill from there. A darkly comic tale is exactly what I would expect from this author and, you know what, it’s exactly what I got. The Killing of Sister George by Pat Kelleher - Sister George versus school boy William Treadmore is the ultimate battle of wills. The unstoppable force meets the immovable object. Proper old school horror, please excuse the pun, and extra points for referencing the famous play. This was one of my favourite tales from the entire collection. The Bells of Freedom by Cat Connor - A lost journal, a supernatural detective with a guardian angel called Horlicks and a suspicious acting nun. Like the story from Colin Barnes this screams ‘potential’. The set-up just seems to good to leave as is. The Sound of Latex by Peter Ray Allison - Sir Valiant is in a bit of a predicament and he meets a very special, strangely dressed, nun named Willow von Trapp. Almost verging into the realms of nunsploitation this slightly campy, slightly surreal fantasy tale worked well. The back and forth dialogue between the two main characters were a real treat. Loop by S.J. Caunt – Regular readers of the site will know that I’m a sucker for the end of the world. It’s always a pleasure to have a front row seat to the End of Days, especially when that final battle involves Robo-Nun and a creature known only as The Beast. I admit this was an unexpected, but thoroughly welcome, surprise to find some science fiction pop up in the mix. Into the Woods by Geri Clark Hellery - Robin, Edward and Billy are out in the woods. One of them has a secret that the other two aren’t going to like, not one bit. A dark tale that has put me in mind of some of my favourite 80′s horror movies. The Last Hunt by Karen Davies - Morgan Keel and his band of pleasingly disreputable mercenaries are on a dragon hunt when they meet the redoubtable Sister Yenza. I can’t think of a better way to round things off than with this final hunt. I’ve read a few of this author’s fantasy stories now and she has a genuine knack for the genre. I loved the nods toward the various characters backstories that are hinted at but never fully revealed. Hard to believe but that’s actually less than half of the stories, I wouldn’t want to spoil all the surprises now would I? There are a whole host of other tales, some vivid artwork and even some striking poetry, still left for you to discover. The rest of the collection has a nice mixture of established as well as up and coming new writer’s work to read. There are stories from Mhairi Simpson, Adrian Tchaikovsky, Jasper Bark, Francesca Terminiello, Kate Laity, Wayne Simmons, V.C. Linde, Catherine Rogers, Andrew Reid, Joan De La Haye, Simon Bestwick, Jay Faulkner and Sammy H K Smith. Each author puts a different spin on the subject matter. For some, dragons are the traditional monsters of medieval stories. In others they are the satanic beasts of Christian thought. In some stories they are misunderstood or sympathetic characters, wise old creatures of a time long gone, or else magical, dangerous beings from another realm. Some of the stories are set in a pure fantasy land; others take place in our past, a few in the present, and even one in the future. Nuns appear as religious women of different faiths, some real, some imagined, or as dedicated warrior women. The stories themselves range in feel from horror to adventure, from romantic fantasy to slower, more thoughtful tales, and many incorporate interesting twists. There’s something for everyone, and no two stories are the same, which is surprising given the very specific theme of the anthology. The Ballad of Gilrain, by Sarah Cawkwell – This seemed like it would be a very traditional, standard fantasy story at first, but the humour and the characters, and the relationship between Gilrain and Therin, really set it apart. An unexpected turn towards the end leaves the heroic tale with a slightly unusual ending. This is a great story to start the collection on. Fire Exit, by Mhairi Simpson – I loved this story of Tereth and her family’s unique problem. Running an inn on a wychride, where magic is prevalent and literally anything can happen, might have seemed like a good idea, but in reality it means trying to prevent the little dragons that constantly pop into existence from burning down your home and livelihood in the night. This is a fun story, and the little dragonlings are adorable! This is one of those short stories that feels like it could easily be a whole novel. Saint George and Saint Giles, by Adrian Tchaikovsky – Another story that felt like a standard knight verses dragon tale, then twisted it beautifully. This is a clever story with a great ending. Fruit of the Forbidden, by Jasper Bark – This story works with the Christian concept of the dragon as the devil, and adds the idea of temptation and forbidden fruit to the mix. The story has a slightly seductive and almost eerie feel to it, and it questions ideas of what is good and evil, as well as what is holy. Lex Draconis, by Simon Bestwick – You will never think of nuns and dragons in the same way again. A strange, thoughtful, and quite sad story, with a very unexpected ending! Journey to Blackfire Deep, by Colin F. Barnes – Dragons, lizardmen and rat-men! Airships! Bar fights and gun fights! Ancient ruins! This is a crazy story packed full of fantasy adventure elements, with a slight Steampunk and D&D feel, and a good sprinkling of the Sword and Sorcery genre atmosphere. It’s fast paced and fun. Martyr, by Andrew Reid – Another different spin on the dragon idea – undead dragon! – giving the story an element of horror. The reason for the dragon’s attack, and the real monster underneath the castle, are revealed at the end, when Lord Perren and Sister Gilda must battle a supernatural evil. A well told story with a good end. The Killing of Sister George, by Pat Kelleher – This is very different from the other stories in the collection, with a less obvious fantasy element. It’s an effective and quite disturbing story, with a good ending that is open to interpretation. The Hazel and the Hawthorn, by V. C. Linde – This is the only poem in the collection and it is a very good one. It tells of the aftermath of a battle, but is perhaps really about guilt and responsibility. It has a sad, wistful feel, looking at how a few people’s feelings could devastate an entire kingdom. I read a King Arthur-Guinevere-Lancelot theme in it, but it is left open to fit other interpretations too. The Last Hunt, by Karen Davies – I loved this one. It appears to be setting up a typical fantasy dragon-hunt story, but soon twists it, turning the tables satisfyingly on a main character who deserves what he gets, and introducing probably the best nun of the collection. This has a very enjoyable ending (I sort of guessed the twist, but then it double twisted on me), and was my favourite story of the book! Warning: this review contains bad puns. It's not a convent-ional (sic) anthology: every tale is themed around the Nun an Warning: this review contains bad puns. 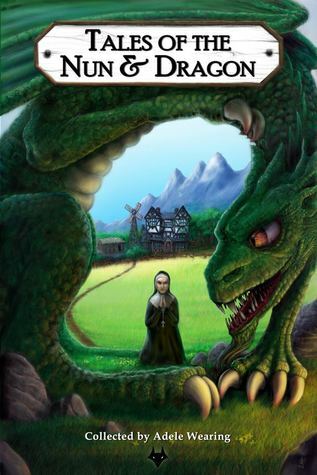 It's not a convent-ional (sic) anthology: every tale is themed around the Nun and the Dragon of the title, whether as straightforward confrontations, allegorical battles, or in the setting of the pub of that name. As with any compilation album, there's always going to be the track or two that nods along, but all of these tales are tightly-written individual pieces, all of them keeping their own style while still hitting the brief. You can dip into any one of these stories and discover excellent new genre talent. For personal picks, I'll recommend Kate Laity's The Price, Ren Warom's Nil Desperandum, and Adrian Tchaikovsky's Saint George & Saint Giles. A great debut anthology from Fox Spirit, this is great fun with some terrific writers involved and able editorship by Adele Wearing.